Lorenz Gamma is internationally active as a soloist, recitalist and chamber musician and gives frequent master classes in the United States, Europe and Asia. As former co-leader of the Amar Quartett in Switzerland, Mr. Gamma performed a full-time concert schedule touring through many of Europe’s most important chamber music venues, including the Tonhalle in Zurich, the Victoria Hall in Geneva, the Residence in Munich, the Cologne Philharmonic, as well as venues in many other cities such as London, Paris, New York and others. During ten years, Lorenz Gamma served as first violinist of the Los Angeles based group Southwest Chamber Music, whose recordings of the complete chamber music works of Carlos Chávez have been nominated for six Grammy Awards, winning one in 2004 and one in 2005. As a soloist, Mr. Gamma has performed over twenty different concertos by Bach, Beethoven, Berg, Brahms, Bruch, Gubaidulina, Lutoslawski, Mozart, Mendelssohn, Piazzolla, Rubinstein, Schnittke, Schumann, Spohr, Tartini, Vivaldi, and Wieniawski. He holds an extensive record of appearances on radio, both in Europe and in the United States: his radio broadcasts and CD recordings include Schubert’s string quintet and piano trio in E-flat, Messiæn’s “Quartet for the End of Time”, the complete string quartets as well as works for violin and piano and the piano sextet by Carlos Chávez, the Dvorák piano quintet, Mozart clarinet quintet, sonatas and partitas by Bach, Kodály, Lazarof, Mozart and Ravel, as well as string quartets by Brahms, Debussy, Dvorák, Haydn, Hindemith, Ives, Janácek, Mozart, Ortiz, Ravel, Shostakovich, Ullmann, Verdi and Wadada Leo Smith. Chamber musicians Mr. Gamma has collaborated with include Heinz Holliger, Paul Katz, Ronald Leonard, Donald McInnes, Joseph Silverstein, Tsuyoshi Tsutsumi and many others. Composers whom he has collaborated with include Miguel del Aguila, Adrienne Albert, John Adams, Mark Applebaum, Alexandra du Bois, Thüring Bräm, Nancy Bloomer Deussen, Sofia Gubaidulina, Yalil Guerra, Heinz Holliger, Andrei Kasparov, Rudolf Kelterborn, Peter Knell, Panayiotis Kokoras, Ian Krouse, Christian Lauba, Henri Lazarof, Tomás Marco, Margaret Meier, Mark Menzies, Thea Musgrave, Maria Newman, Gabriela Ortiz, Robert Paterson, Deon Nielsen Price, Kurt Rhode, Thomas Daniel Schlee, Patricio da Silva, Wadada Leo Smith, Chrysanthe Tan, Vu Nhat Tan, Pham Minh Tang, Ton That Tiet, Stephen Westerhout and Gernot Wolfgang. In orchestral positions Mr. Gamma has served as concertmaster of the Northwest Sinfonietta in Seattle and later as Principal of the Zurich Opera Orchestra. 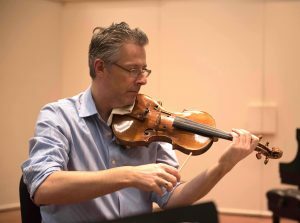 Currently, Lorenz Gamma teaches violin at California State University Northridge, where he also serves as Head of String Studies as well as Director of Chamber Music. His previous teaching posts include positions at UCLA, Indiana University in Bloomington and the California Institute of the Arts. 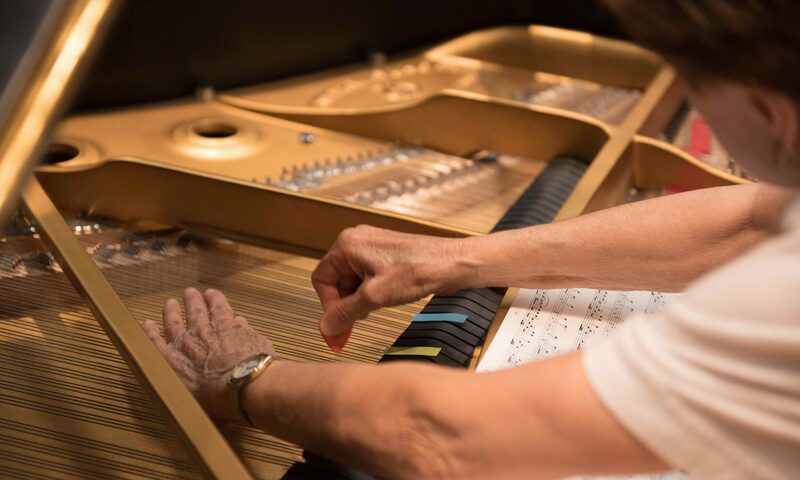 As Artistic Director of the Borromeo Music Festival in Switzerland, he conducts a two-week long summer academy for advanced string and piano students and a chamber music series. Having performed himself internationally a string quartet repertoire of over sixty composers as well as a large part of the standard chamber music repertoire of over a eighty composers, Mr. Gamma dedicates himself passionately to coaching chamber music, as well as often collaborating with students in side-by-side concerts. His private and professional students have won numerous prizes at solo and chamber music competitions and have regularly gone on to continue their studies at such institutions as the Juilliard School, Indiana University, the Manhattan and Eastman Schools of Music, the Cleveland Institute of Music and University of Southern California. Lorenz Gamma was born in Switzerland, where he received his initial training as a violinist at the conservatory in Lucerne. His further studies took place in the United States – with Franco Gulli, Steven Staryk and Mark Kaplan.